Digital Interactive Graffiti is a project to develop a mobile marketing platform to benefit hospitality and retail businesses. Brighton is one of four European cities to be chosen to take part because it attracts a large number of tourists. Thank you for filling in this short questionnaire about how you market your business. There will also be the opportunity to join a focus group meeting with the software developers over the next 6 months and to use the technology at the end of this two year project. 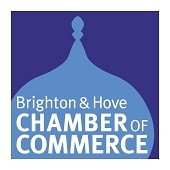 Brighton and Hove Chamber of Commerce is one of the project partners. We would like to thank VisitBrighton, Brighton and Hove Hotels Association, the Tourism Alliance, Brilliant Brighton, Unique to Brighton and the Mark Fagan Consultancy for their kind support. There are 30 questions in this survey, but it should take no longer than 5 minutes to complete.